AOL announced it has reached an agreement with Microsoft to sell over 800 of its patents and a number of relevant patent applications for $1.056 billion in cash. According to the Wall Street Journal, the move was prompted by a letter sent to AOL's board from activist shareholder Starboard Value LP six weeks ago, calling AOL's patent holdings "underutilized" and suggesting they could be making millions of dollars through licensing. Indeed companies are increasingly looking to arm themselves with patents as fierce legal battles erupt all around the industry. 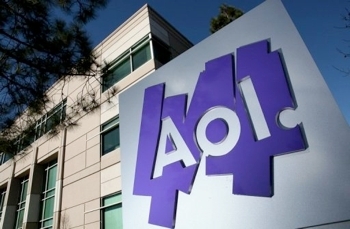 Rather than seeking licensees and possibly engaging in litigation themselves, however, AOL decided to sell the majority of its portfolio while retaining a perpetual license to the patents in question. After the sale, AOL will continue to hold a significant patent portfolio of over 300 patents and patent applications covering a variety of core and strategic technologies including advertising, search, content generation, social networking, mapping, multimedia, and security among others. As part of the deal, AOL will also give Microsoft non-exclusive access to its remaining patent portfolio. The transaction is expected to be completed by the end of 2012. Reuters reports AOL's shares jumped 37 percent in morning trading after the news went public, in part because the Internet company says that it plans to return a “significant portion” of the sale proceeds to shareholders.